At BYU Coats set the freshman tight end record for receptions with 30 for 278 yards and was named to the Freshman All-American team. He started in 32 of his 46 games at BYU, catching 86 passes for 966 yards and nine touchdowns. He is best remembered for his superb blocking. 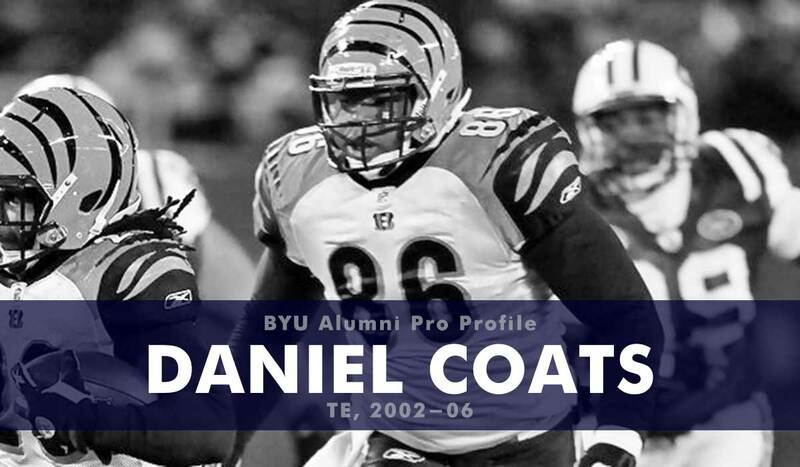 Coats played in 57 games over four seasons in the NFL (with 18 starts) with 53 of those games being at Cincinnati and the last four with the Denver Broncos. He was also signed briefly to the New York Giants. Coats recorded 30 receptions for 291 yards (9.7 ypr) in his NFL career, and returned one kickoff for 18 yards. Since the NFL Coats has worked for Crossfit (2013-present), as a recruitment specialist for Sizzling Platter LLC (2012-17), and as a teacher and coach at Northridge High School (January 2017-2018). Coats was hired in 2018 as the new head football coach at Farmington high school. What have you done since retiring from the NFL? Besides watching my 3 kids turn into little adults and coaching every little league team that you could think of… I stumbled around trying to figure out what to do with myself. I went to work for a Medical device sales company but that wasn’t a great fit for my personality, so I left there and went to work for a restaurant management company where I hired and trained Managers for their restaurants. It was there that I realized that I liked helping people grow in their lives so I decided to become a school teacher and coach high school football. So now I teach Health and P.E at Northridge High School. I get to teach some amazing kids and they are excited to learn from me. I feel like I am actually doing something that will help rather than just working a 9 to 5. Do I still follow the Cougars? I sure do, I think that Coach Sitake is doing a great job with the team and I’m excited for the future of the Cougs. I wish I could get down to more games but life is life and sometimes things are just too busy… but I guess that isn’t always a bad thing. Impressions of the current coaching staff? I think that the current coaching staff is great. I think that they cover all of the areas that you need out of a coaching staff. They are knowledgeable about football and the positions that they are coaching, plus they can all relate to the players and not just be dictators. Most importantly they have a passion for the game that they use to help the players grow in their lives and on the field. Are you still in contact with any current or former players or coaches? Yeah all of the guys that I played with I see at least once a year at the Cougar Club events. Plus, with all of the social media craziness I follow all of their lives and insert my own random comments here and there. How do you think the Cougs will do this season? I think that they will have a great year. High quality quarterback plus quality skill positions on offense. We should be able to put up a lot of points. With the defense being solid (like always) it will be a great year. 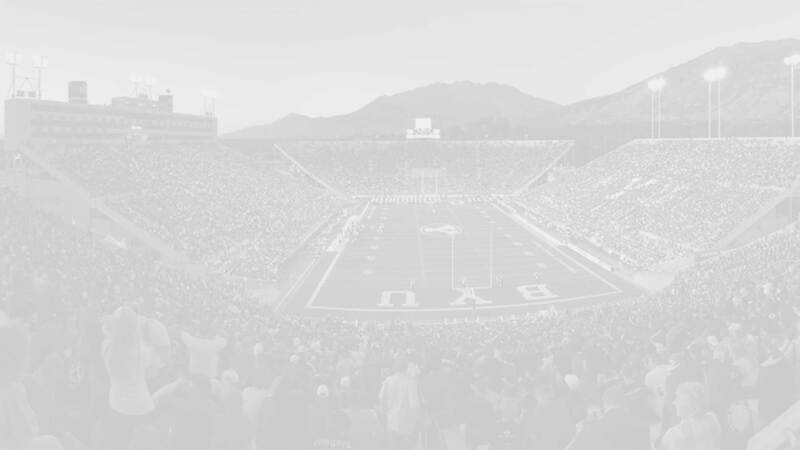 What is your favorite BYU memory? Mine would have to be my first colligate touchdown. It was against Georgia Tech. Its my favorite because it was the true day that I realized that I love this game called Football. My first regular season game with the Bengals… It was Monday Night Football against the Ravens. I didn’t do anything spectacular but just the moment of realizing that I made it to the NFL and was playing in-front of hundreds of thousands of people in the stadium and watching on MNF.